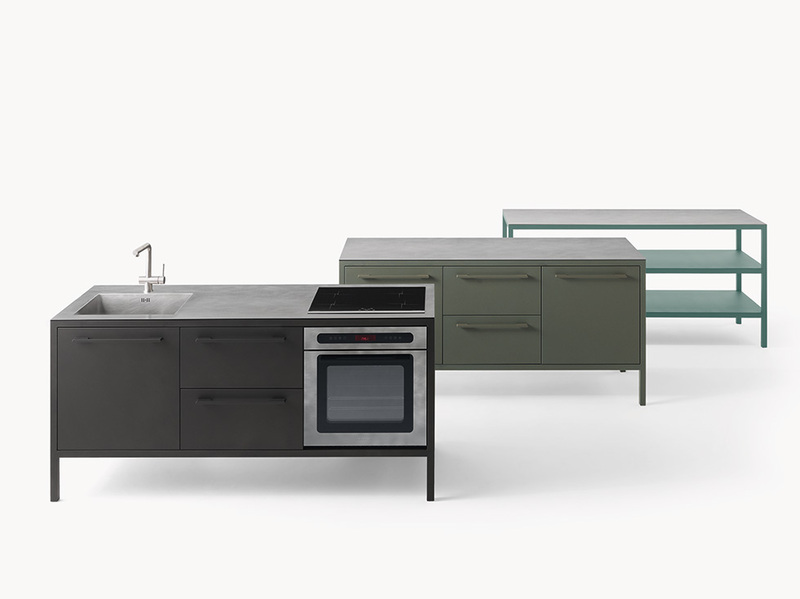 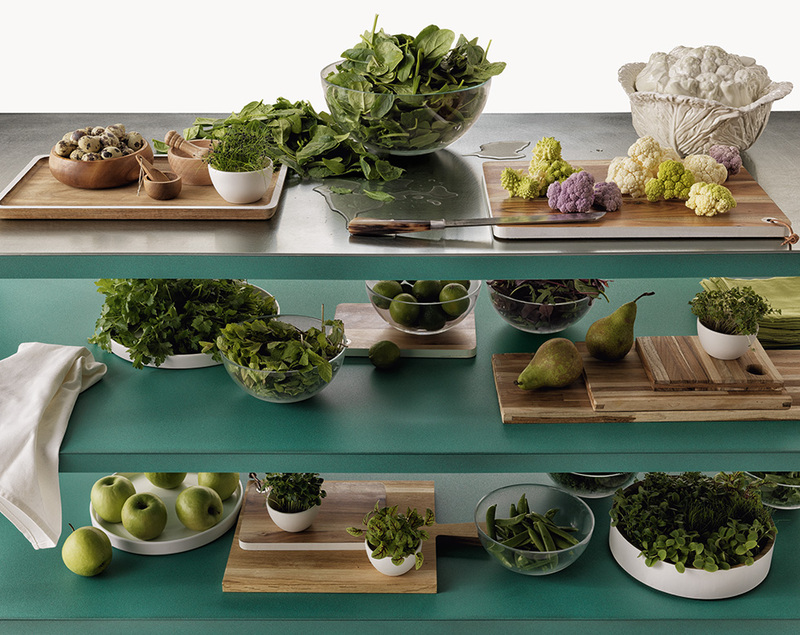 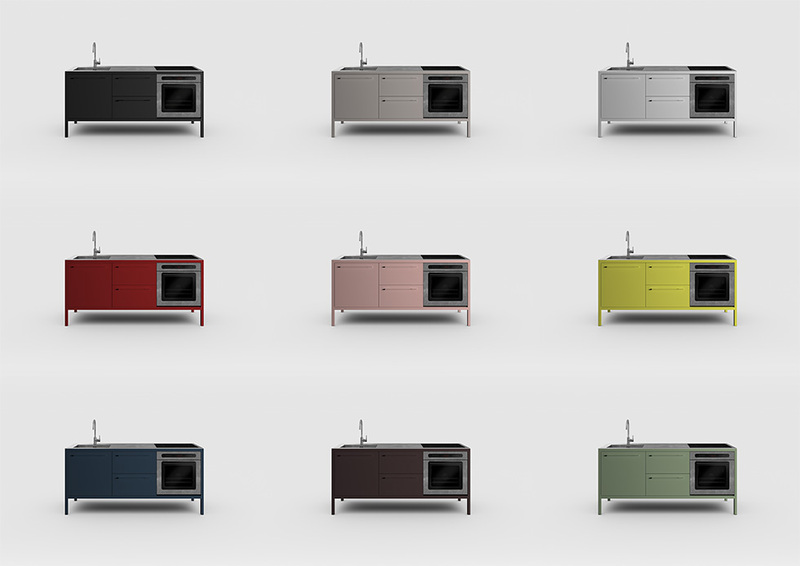 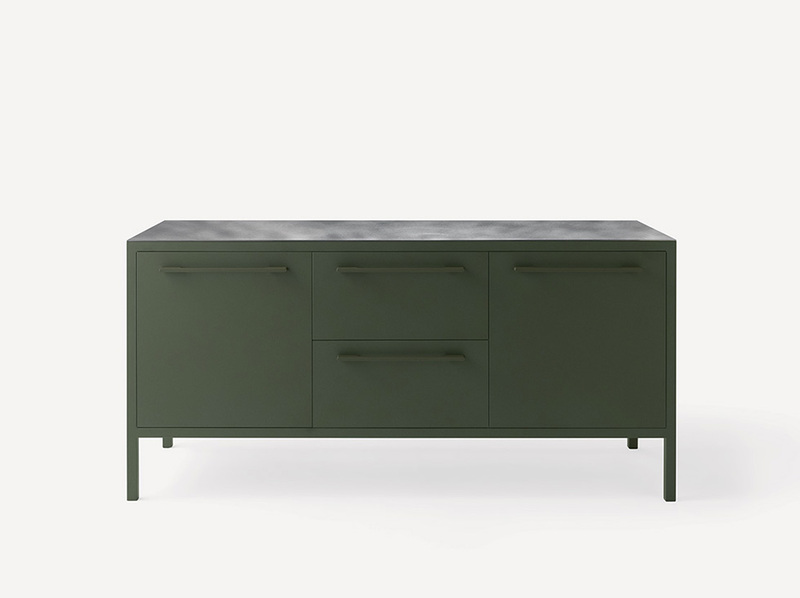 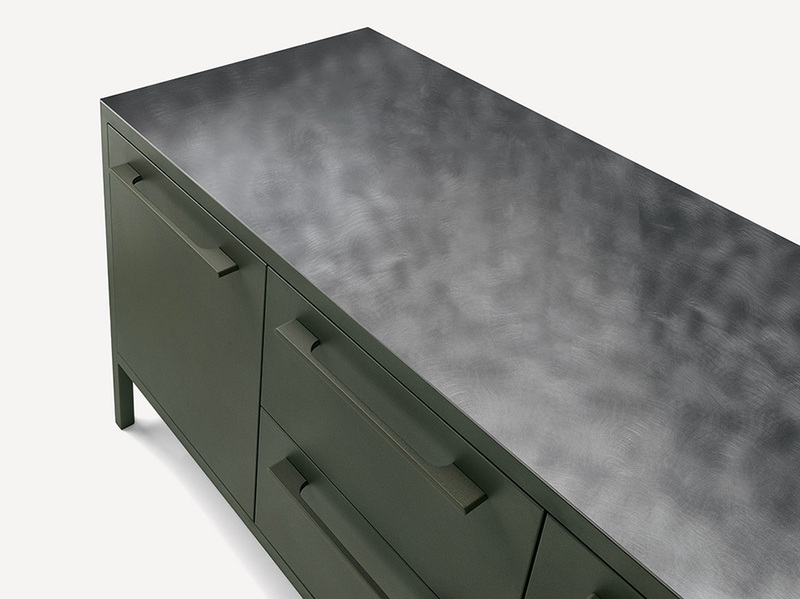 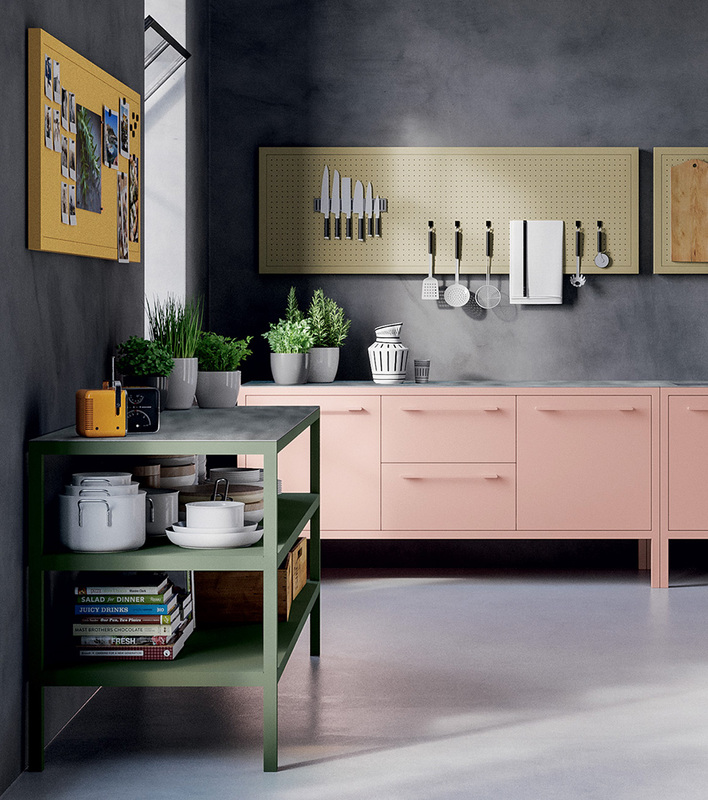 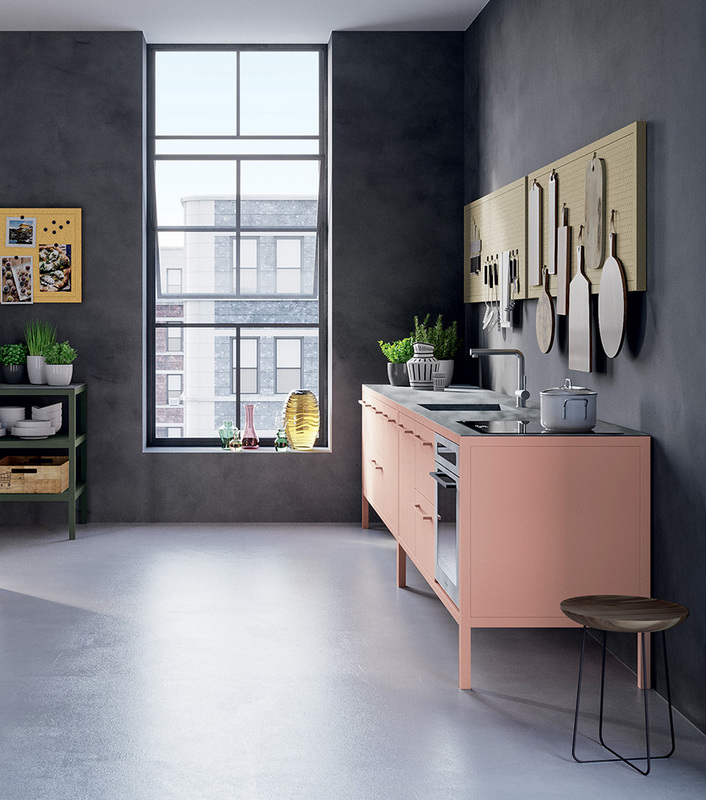 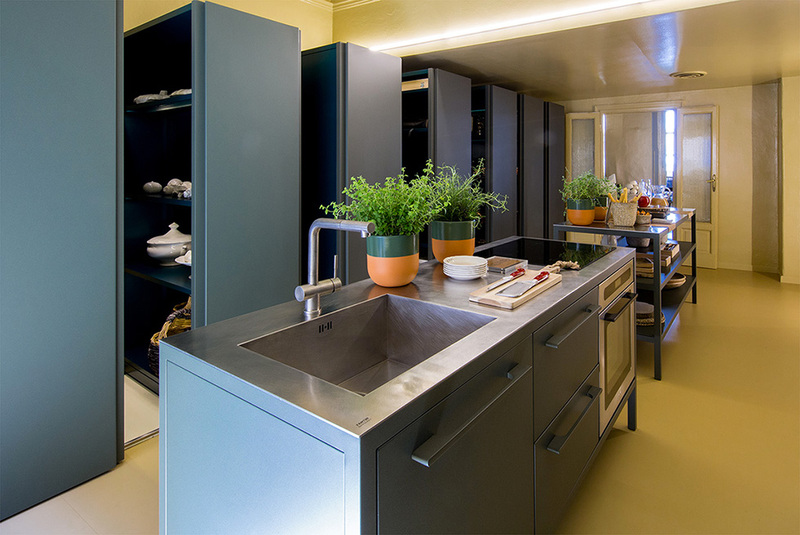 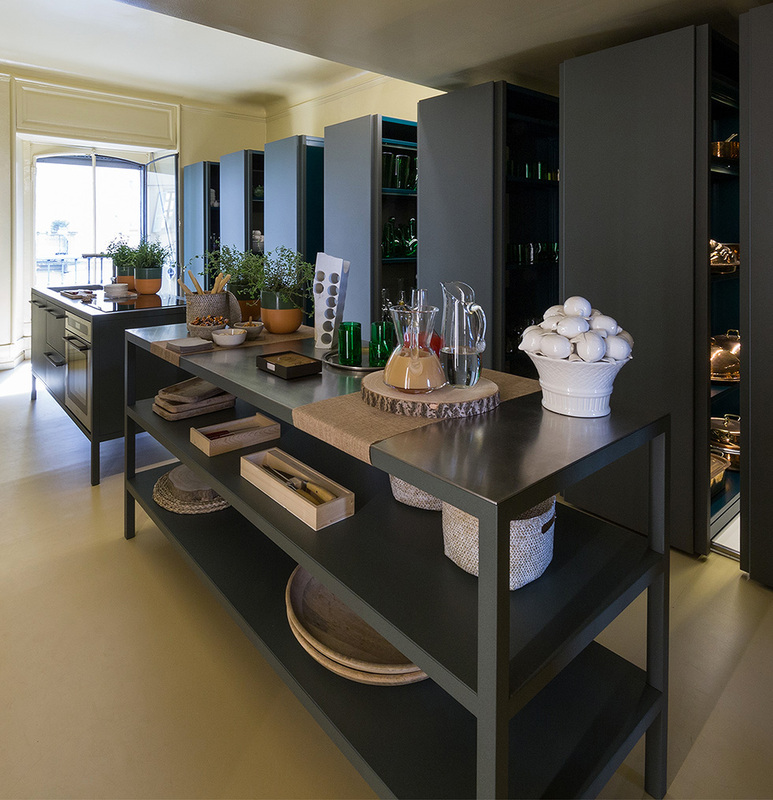 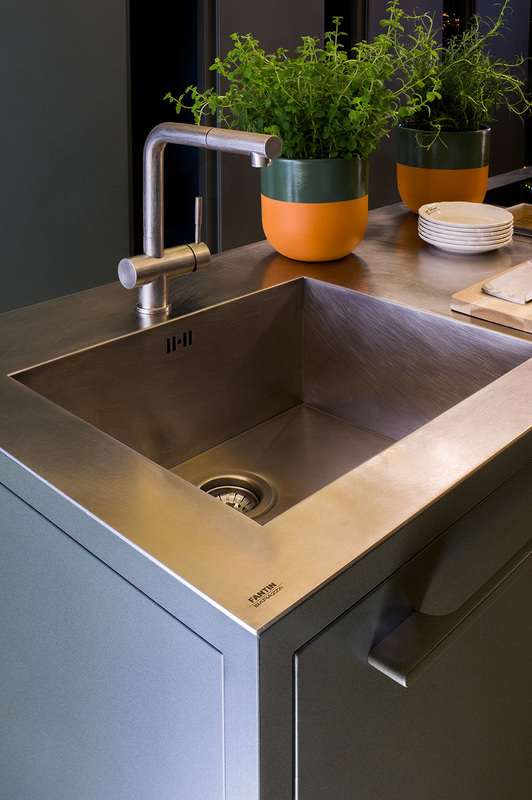 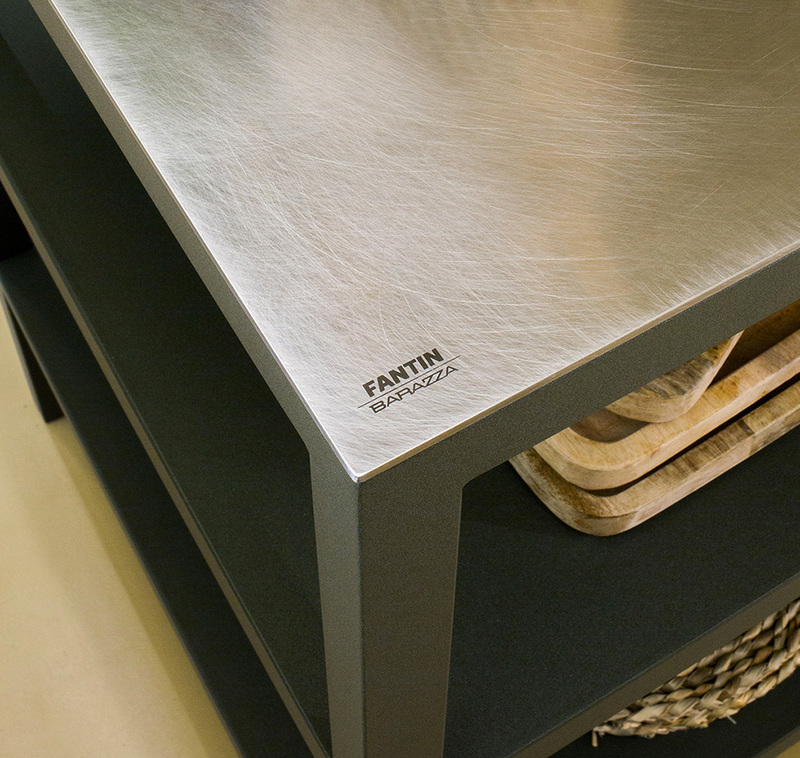 Frame kitchens and workbenches come with 4 mm Barazza Vintage finish steel tops, which are compatible with all of the Fantin finishes. 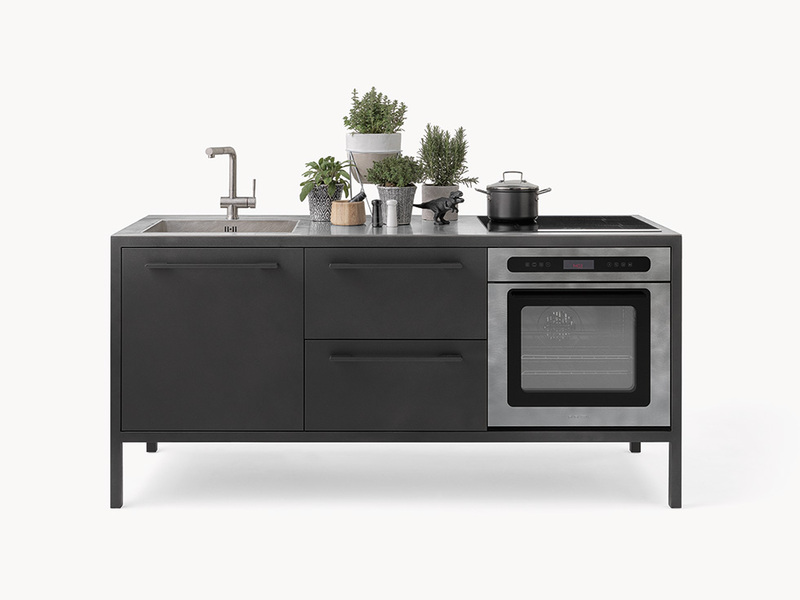 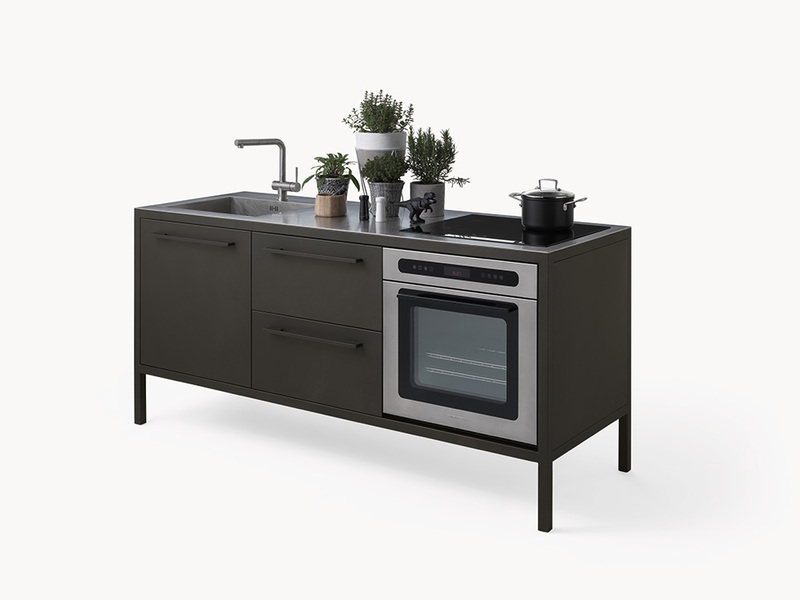 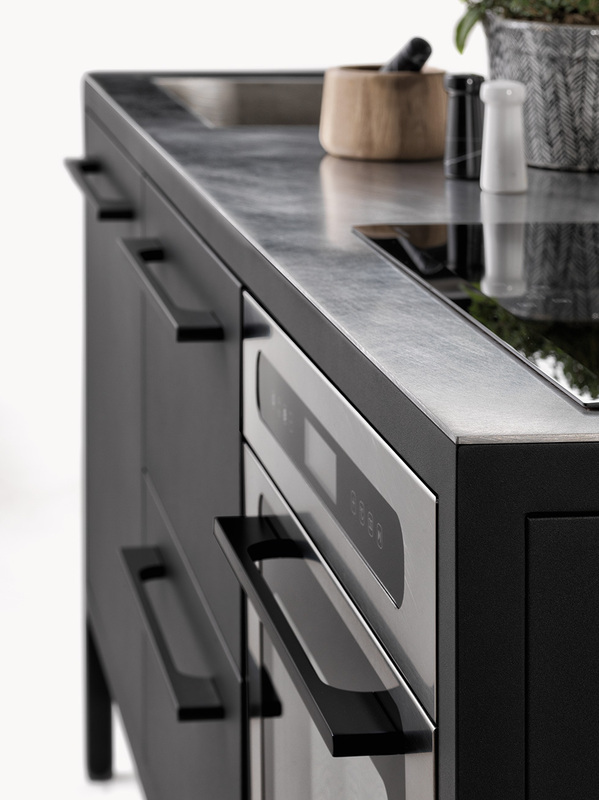 The kitchens are available either fully equipped with a sink, a tap, an induction hob and a Barazza oven, or with none of these things, so that customers can add their own choice of accessories and top. 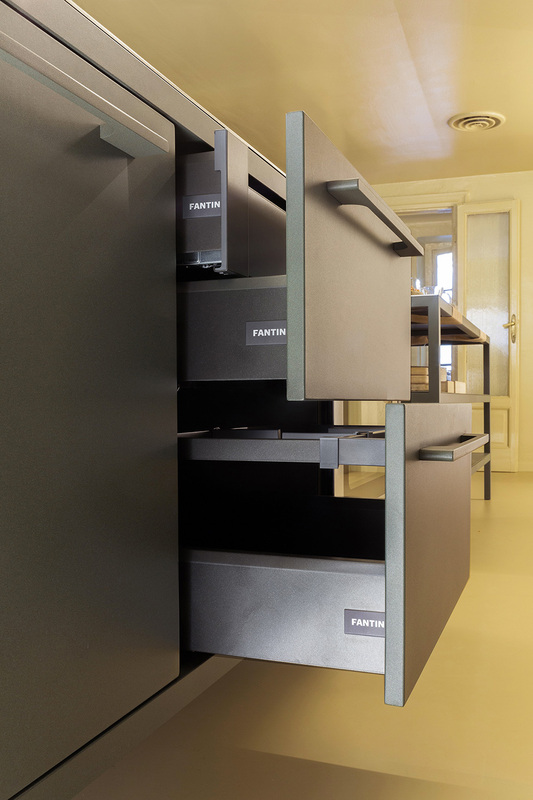 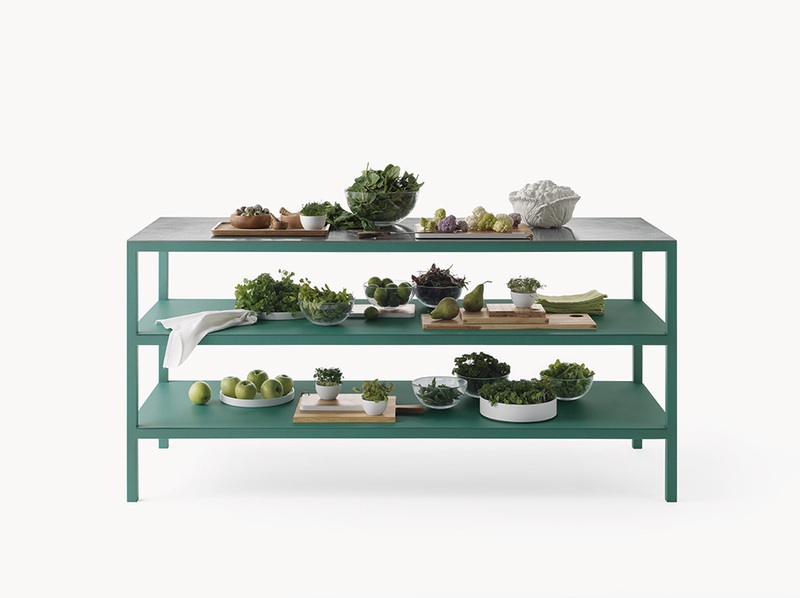 The welded square tube frames are always visible, thus underlining the exceptional solidity of the units.